One of the most dynamic countries in the world, South Korea has emerged from a chaotic history, and has rightfully ascended the ladder to become a world power. Bordering North Korea in the south and separated from China and Japan by the Sea of Japan, Yellow Sea and Korea Strait, South Korea is an active participant in what is one of Asia’s most historically volatile areas. Clothed in green, verdant mountains dot its landscape, and the country has shown remarkable resilience by shuttering its stricken past to become one of Asia’s most stable democracies. Its citizens enjoy one of the highest levels of political freedom and social rights – a stark contrast to the rigid and totalitarian regime of its neighbor North Korea. South Korea’s transition from poverty to riches is one of modern civilization’s most inspirational stories. Symbolic of the country’s growth is its national flower – the mugunghwa or the rose of Sharon. The rose of Sharon is unique as it is one of the most tenacious of flowers, able to withstand the vagaries of nature. In Korean, mugung means immortality – and the rose of Sharon is a vibrant motif for a flowering nation, reflecting well the determination, perseverance and endurance of its people. Koreans trace their roots a long way, with human habitation of the Korean peninsula dating back 500,000 years. Long centuries of dynastic rule by various kings were followed by Japanese colonization in 1910. Japan’s surrender in World War II liberated a country that had been chafing under its occupation for many decades. The traditional Hanbok attire worn in South Korea today is patterned after the Confucian-oriented Joseon Dynasty. Post occupation: Liberation in 1945 however, did not mean freedom from the influence of foreign forces. Cold War rivals, the U.S, and the Soviet Union, divided the peninsula at the 38th parallel, with the U.S.-backed South and the Soviet Union-controlled North. It was a division that continues to have more repercussions than the hated Japanese occupation. North Korea’s President Kim ll Sung launched an attack on South Korea in 1950, which culminated in a bitter war. South Korea was all but lost under the invading communist forces, until UN intervention ended North Korean hopes in 1953. Strangely, the peace treaty was never ratified by South Korea, and the two countries remain, technically, at war. Post-war South Korea underwent several decades of political hardship under autocratic rulers. The most notorious of these was Major General Park Chung Hee whose repressive rule ironically coincided with the country’s spiraling economic growth. Increasing protests from the populace forced the military regime to hold democratic elections in 1987, resulting in a period of relatively stable governance in the 1990s. Lee Myung-bak assumed office in 2008, replacing Roh Moo-hyun. Administrative setup: South Korea functions as a republic with powers shared between the president, the legislature and the courts. Governing the republic’s structure is the Constitution of Korea, which was first drafted in 1948. Supreme power rests with the President who is elected for a five-year term by direct popular vote. 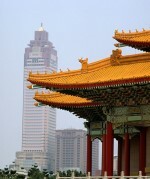 Administratively, the country is divided into nine provinces and seven metropolitan cities. With a population that is one of the most homogenous in the world, South Koreans share a common cultural and linguistic heritage. Korea has been strongly influenced by Chinese culture, and elements of Buddhism and Confucianism find their artistic expression in traditional Korean art forms in sculpture, painting and ceramics. Family remains an important unit of an individual’s life and Korean cuisine is slowly gaining global recognition with the now ubiquitous kimchi, a familiar favorite of the western palate. Korean festivals such as Chuseok and New Year’s Day are an occasion to feast, and people dress in traditional attire called the hanbok. The East Asian country’s economic ascent over the past four decades, thanks mainly to rapid industrialization and the government’s pro-business policies, has perhaps inspired many less-developed countries around the world to adopt South Korea as a model of growth. 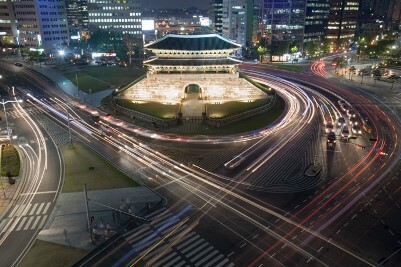 The efficient implementation of the Five-Year Plans helped South Korea expand by more than 9% a year between the mid-1960s and the middle of the 1990s, helping it to emerge as the third largest economy in Asia and to be counted among the “Asian Tigers” such as Hong Kong, Singapore, and Taiwan. The small, open economy of just 50 million people managed to build some of the most coveted global brands, emerging as the twelfth largest economy in the world, with a per capita GDP of over $20,000. South Korea also enjoys the distinction of having clocked five consecutive decades of growth above 5%. Seoul is the world’s third most expensive city, with a pound of beef costing ten times more than in China. Following the lead of Japan, the first Asian economy to become fully industrialized, South Korea began making slow, but steady steps forward. Industry accounts for 40% of the economy’s GDP, while services contribute nearly 58% and agriculture a minuscule 3%. From having a GDP per capita income comparable to some of the impoverished Asian and African nations in the 1960s, South Korea leapfrogged to enter the trillion dollar club of global economies in 2004. 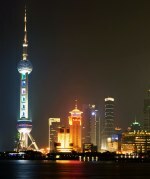 The export-oriented economy’s dream run was interrupted briefly by the Asian financial crisis of 1997-98 and the global financial crisis of 2008-09. However, Koreans have also proved themselves to be resilient in the face of adversity both during the Asian financial crisis and the global financial crisis. The economy’s open financial system made it particularly vulnerable to the churn in the global markets, yet the recovery was equally commendable as the country expanded by 6% in 2010. Remarkably, the skillful Koreans were more than willing to put in extra hours to boost productivity, as they demonstrated during the period of economic recovery. South Korea began picking up the pieces after emerging from the wreckage of World War II, and an aftermath that created a threatening sibling, North Korea. Thanks initially to aid from the United States and Japan, the South Korean government encouraged manufacturing, which led to phenomenal export-driven growth. Gradually, the economy which exported mainly shoes and textiles, graduated to becoming a major producer and exporter of automobiles, fabrics, telecommunication and sound equipment, not to mention metal goods, electronics, chemicals, and steel. Exports are the mainstay of the economy, contributing 52% of the country’s GDP. 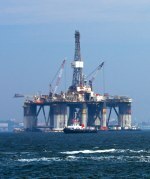 Traditionally not rich in energy resources, South Korea has been trying to reduce its dependence on imported oil. Investing heavily on building alternative resources, nuclear plants now meet around 40% of the country’s electricity requirements, with this figure expected to reach 60% over the next three decades. Among other products, South Korea imports industrial machinery, petroleum and its derivatives, and transportation equipment from its trading partners such as the U.S., Hong Kong, Japan, Singapore, and Germany. Some of these countries also double up as South Korea’s export partners, in addition to China and Taiwan. Thanks largely to a committed, educated workforce, South Korea has made a name for itself in digital electronics products and smart phones, regularly topping the list of the most innovative countries in the world. It is the most wired economy in the world with the largest percentage of people having Internet access. The Internet backbone has provided the framework for the development of sectors such as banking and e-commerce, besides encouraging the evolution of social networking sites and Internet-based start-ups, a business model which has taken off in a big way in China. With South Korea’s economic success also came improvements in its system of governance, perhaps underlining the fact that people and companies domiciled in democratic nations are often blessed with tremendous advantages. Still, it may sound ironic that the economy’s engine of growth got a head start under a military regime, yet the country has remained a vibrant democracy for the last quarter century. 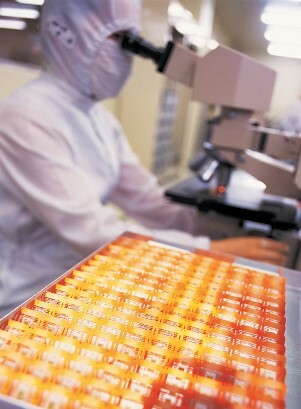 South Korean chipmakers represent about 11% of the global semiconductor market. To understand South Korea’s economic transformation in the right perspective, one has to understand how important its big, family-owned conglomerates, known as the chaebols, are to the economy. After the Korean War ended in 1953, the country came under authoritarian rule, which turned out to be a blessing in disguise to some family-owned businesses in South Korea. Initially, loans offered under attractive terms and restrictions on imports gave a head start to some of these firms, with a few of them such as Samsung, LG, and Hyundai (which together contribute 16% of the economy’s GDP) emerging as truly global brands in the 90s and the first decade of the present century. Despite concerns about the chaebols monopolizing entire business sectors, overcharging customers, and stifling innovation, it has to be acknowledged that it was South Korea’s shipbuilders and carmakers that made the country what it is today. 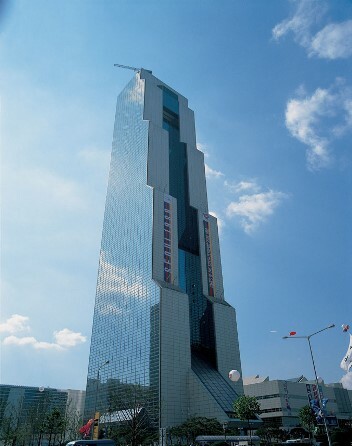 The top 30 firms in South Korea account for about 70% of the economy. Moreover, the chaebols have been able to hedge risks from currency volatility by basing some of their factories in foreign countries. The chaebols have a presence in business categories as diverse as consumer electronics, shipbuilding, automobiles, leisure, and tourism. South Korea’s public education system, sometimes chastised for pushing children too hard to excel in studies, is often compared to an “educational arms race,” as The Economist would put it. Still, some of the best minds behind the creation of many of the world’s most sought after electronic gadgets today are the products of this schooling process as most of the leading chaebols tend to hire the best of the lot from the country’s top universities. Thus, both the nation and the economy have benefited a great deal from the “result- oriented” pedagogic system. South Korea spends a bigger share of its GDP on university and college education, more than any other developed country except America. Still, a considerable proportion of the spending on children’s education, mostly for private after-school tuitions, comes from household budgets, which makes child-rearing an expensive proposition. In fact, South Korea has a fertility rate of 1.2, one of the lowest among the OECD countries. A naturally corollary to fewer births is South Korea’s rapidly aging population. Combined with relatively low wages, the educated workforce is an important cog in the Korean economic machine. Towering a mammoth 748 feet tall, the World Trade Center in Seoul stands as a colossal symbol of South Korea’s rising economic status. South Korea, which began its industrialization drive after World War II by making low or moderate-priced goods for sale in the developed world, has come a long way. Even in manufacturing, the country gradually climbed the value chain, graduating from textiles-making to steel, from light to heavy manufacturing. Normally, when an economy achieves a certain scale in manufacturing, it is quite natural that the focus shifts to services, as it happened in the U.S., Germany, and Japan. But Korea has been an exception. Not for want of trying, but South Korea has not been able to make the shift to a consumer market from a purely export-oriented one. Service industries such as tourism, finance, and retail have remained a pale shadow of the buzzing manufacturing sector. Strict government regulations are partly to blame. Another reason why services have remained inefficient and short of funds is the country’s skewed development strategy that has been overtly favoring a manufacturing-led growth. An attempt to encourage the use of credit cards to stimulate consumer spending in the aftermath of the 2001 tech bubble burst unfortunately resulted in a household debt crisis. While the manufacturing sector is dominated by the big chaebols, small and medium-sized enterprises (SMEs) clog the services sector. Productivity per worker and operating profits of these firms naturally lag behind the chaebols who manage to dominate the best talent and resources. Moreover, big firms make the going tough for SMEs by firing their older workers to cut costs. SMEs, then, are pressured to absorb this surplus labor, which also affects their productivity. According to The Economist, Korea has first-world manufacturing exporters and third-world services. The solution to this problem may ironically lie within the chaebols themselves. Chaebols, given their sheer size and scale, could very well diversify themselves into services, stimulate demand, and create more jobs. High social cohesion, which has been a defining feature of South Korea’s economy for long, seems to be crumbling. The divide between the rich and the poor has widened, which helped Park Geun-Hye to win the December 2012 presidential elections on the plank of “economic democratization.” With this, the new president is seeking to curb the power of families which run the chaebols, while at the same time expand the scope of the welfare state by subsidizing university fees and providing free child care for children under five. However, improving social spending is something easier said than done because of low revenues from taxes. It has been pointed out that there is an urgent need to raise taxes and social spending to bring down poverty and inequality. Despite a low unemployment rate, South Korea’s labor market remains rigid as there is a legal distinction between permanent employees who are overly compensated and temporary workers who are underpaid. As the chaebols remain the most sought after employers to work for in the country, those who miss this job opportunity once they come out of the universities are not able to find suitable employment in the absence of alternative employers such as foreign-owned firms. Moreover, female participation in the labor force is less when compared to other OECD countries, despite the fact that they are generally better educated than men. This is because most Korean mothers choose not to work to devote their full attention to the education of their children, which is considered their primary responsibility.